At Learning to Inspire we believe we are in a new era in employment history, an era that demands we create cultures in which our people thrive, innovate and create, and that organisations should invite our people to be more of who they are and bring that more into their work. To create cultures that invite people to be more we need practitioners who are skilled in releasing the potential of the people they lead, so that EACH and EVERY ONE of them give and contribute more of who they are. This programme is about developing such practitioners. This programme is those in the workplace who are either new to coaching or for those who have had no formal coach training. You may be a team leader or middle manager or an individual in the workplace who aspires to use a more coaching style in their everyday interactions. A broad understanding of the purpose and context of coaching and about giving you the basic tools to become an inspirational coach. This programme is jam packed with the stuff of inspirational coaching – it is interactive and guaranteed to teach you as much about yourself as about how to coach! What are the qualities of an inspiring workplace coach? What barriers might we encounter to coaching and how can we overcome them? What cutting edge tools will I need to make me an inspiring coach? To answer the questions above you will explore cutting edge theories from the field of NLP, and Accelerated Learning as well as gleaning gems from leaders in the field of coaching. 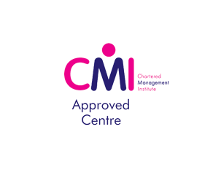 Optional CMI Level 3 accreditation is available for Core Coaching, making it a three day programme. Day three will equip you with the information and support necessary to complete your assignments which are part of undertaking the qualification. The programme is assessed by a written assignment of approximately 3000 words. You will be fully supported throughout this assessment by your tutors. ▶ What are the entry requirements? There are no formal entry requirements for this programme. Core Coaching is best suite to those who are new to coaching, looking to start coaching or existing coaches with no formal qualifications. It is also ideal for those looking to progress to our Level 7 Coaching Programme, Coaching to Be More & Bring More. ▶ What support do i get to complete the qualification? The programme is assessed by a written assignment of approximately 3000 words. You will be fully supported throughout this assessment by your tutors. During the workshops you will be encouraged to think about your written assignment and after the 2 workshops there will be an additional day during which you will get one-to-one coaching / tutorial time that can be used to get as much or as little help as you need. We aim to make assessment a really useful and valuable experience – and we will give you plenty of support to make it easy and fun! ▶ What makes this programme different? We pride ourselves on being brave and staying at the cutting edge of personal development that is why our programmes are routed in self awareness. Other providers will teach you skills and techniques but they will only work when supported by a deep understanding of what make us tick! Self awareness as a coach is essential if you are going to be effective. Whereas most other providers will just teach the bare bones to pass a qualification, we teach you the skills and self awareness needed to become a great coach. Naturally this programme does also provide all the tools and insights to pass the qualification! At learning to inspire we believe in choice when it comes to accreditation - which is why it's always optional. If you choose to go non-accredited you will get exactly the same programme and skills as those who are taking accreditation. It's ideal if you don't have the time or the budget to take accreditation but still want to get the same transformational learning. ▶ How are you different? We pride ourselves on being brave and staying at the cutting edge of personal development that is why Our programmes are routed in self awareness. Other providers will teach you skills and techniques but they will only work when supported by a deep understanding of what make us tick! Self awareness as a coach is essential if you are going to be effective, it is the next big thing in coaching practice so you will be learning at the cutting edge! Of course it does mean that you have to be brave too! ▶ Why don’t you offer distance learning? We do not offer distance learning and are proud of it! We passionately believe there is only one way to learn coaching and that is by doing it! Thank you for this amazing experience. I had a great time on the L3 and L5 programme, met some fantastic people and learnt loads! Your training environment is truly unique and everyone should experience it. Another fantastic programme by L2I!